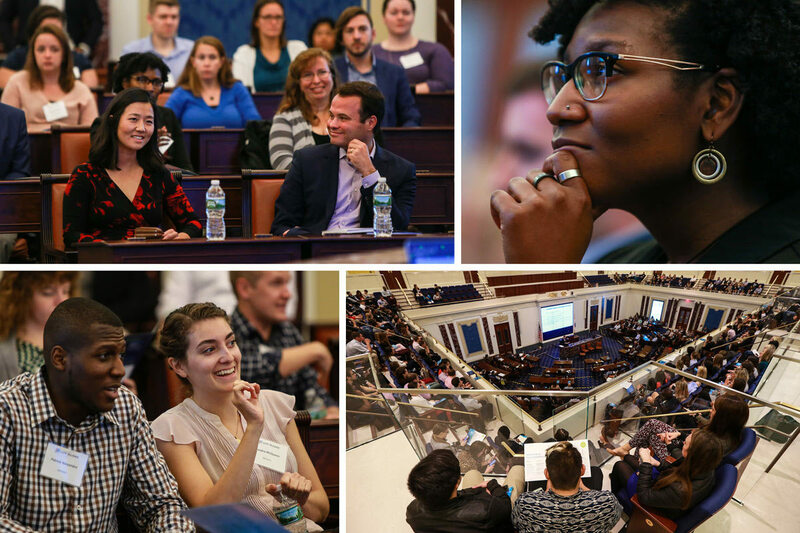 Held annually each fall, Our Convention is the largest convening for millennials in Greater Boston. The event convenes more than 500 emerging leaders to connect and empower next-gen voices on business and civic issues such as housing, transportation, social enterprise, and more. With a mix of workshops, fireside chats, keynote speakers, and socializing, Our Convention will connect, inspire and mobilize you as a next-gen leader for our region. Stay tuned for more information about Our Convention 2018, to be held in mid-November.